"HOT FROM HELL! My friends,I have some news which may be of interest to you. 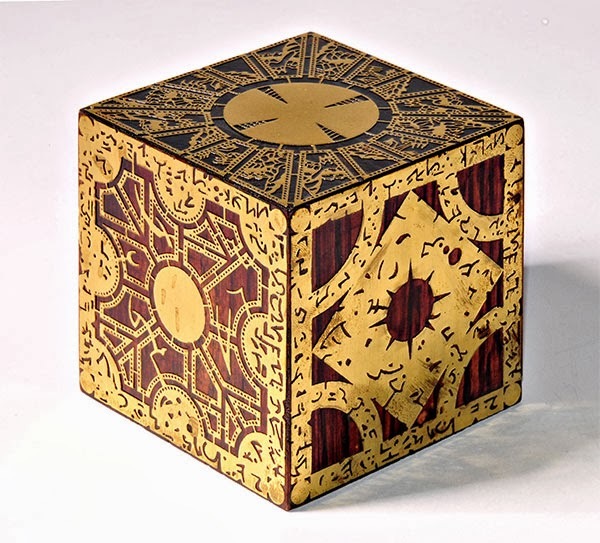 A few weeks ago I had a very productive meeting with Bob Weinstein of Dimension Pictures,in the course of which I pitched a remake of the first HELLRAISER film. The idea of my coming back to the original film and telling the story with a fresh intensity-honoring the structure and the designs from the first incarnation but hopefully creating an even darker and richer film-was attractive to Dimension. Today I have officially been invited to write the script based upon that pitch. What can I tell you about it? Well, it will not be a film awash with CGI. 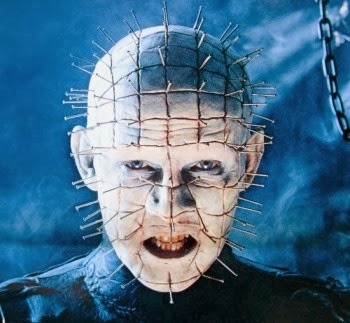 I remain as passionate about the power of practical make-up effects as I was when I wrote and directed the first HELLRAISER. Of course the best make-up in the world loses force if not inhabited by a first-rate actor. I told the Dimension team that in my opinion there could never be a Pinhead without Doug Bradley,and much to my delight Bob Weinstein agreed. 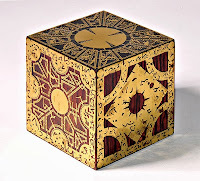 So once the papers are signed , I will open a Lemarchand Configuration,dip my quill in its contents and start writing. I promise that there will be nowhere on the Internet where the news of my progress will be more reliable than here ,because the only author of these reports will be Your Infernal Corespondent ,me. My very best wishes to you all, my friends. Barker has inspired my own horror writing since I first read his Books of Blood series, and he has gone on to write some outstanding novels. Imajica and Weaveworld remain, to this day, two of my favourites. This news of Barker being behind the remake of the 1987 horror classic is exciting, certainly, and I'm relieved he won't be leaning on CGI to portray his vision. Hellraiser the movie was originally a novella, titled The Hellbound Heart first published in November 1986 by Dark Harvest. It was featured in the third volume of their Night Visions anthology series. A sneak peek and one MASSIVE prize giveaway. If I was an artist... Oh, the Horror!